Imad Ahmed is in the third year of his PhD focusing on the development impact of infrastructure investment. In his previous role as adviser to the Rwandan government, Imad Ahmed led negotiations for the Kigali Bulk Water Supply Project. The project won two awards last year at the Partnerships 2018 Awards, including Best Utilities Project and the Grand Prix. 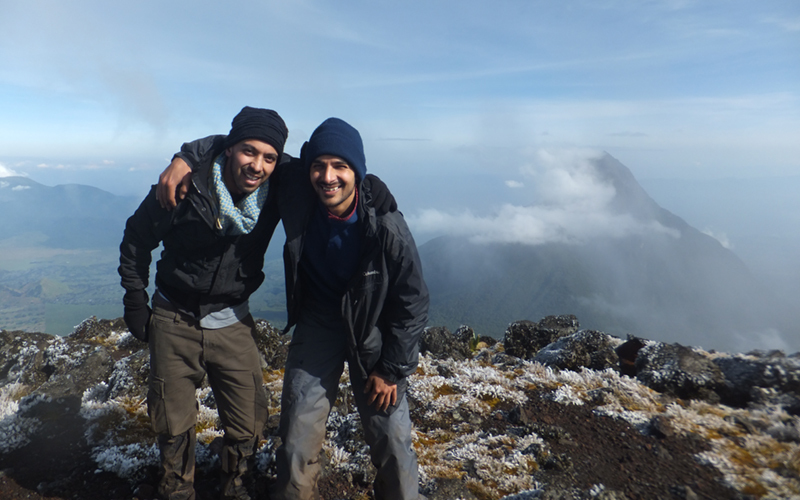 We caught up with Imad to find out more about his PhD and related infrastructure work. What is the focus of your PhD research and how are you finding the experience? I’m working on my PhD full-time, thanks to BSCPM’s studentship. Two factors primarily got me on the PhD track. The first was to come up with research that would make a positive difference to the lives of Rwandan citizens by informing policy with evidence. Following my work in explaining the benefits of the Kigali Bulk Water Supply project to the Government of Rwanda, I wanted to monetise the impact of clean drinking water on people’s household expenditures due to better health and work productivity, and then use this to inform the reprioritisation of resources for rural development. I hope I will get to return to this research post-PhD. The other factor in pursuing a PhD was for myself. I wanted to leave myself a legacy. I came close to death by cerebral malaria in Ghana, and realised most of my work as an activist and as a journalist had had a fleeting impact, while my contributions to more lasting infrastructure projects were almost completely anonymous. If I could contribute to knowledge, my name would be associated with more lasting work. What is the Kigali Bulk Water Supply project? The project is the private financing, design, building and operating of a water treatment plant that will provide 40 million litres of treated water a day to the residents of Kigali, the capital of Rwanda, where there is unmet demand for drinkable water. The impact of this project got me interested in pursuing a PhD to measure impact in a more holistic way, to better help inform government prioritisation of infrastructure investment for development. I was recruited from African private equity in Mayfair by the Rwanda Development Board, through an introduction by the Tony Blair Africa Governance Initiative. I served the Rwandan government for four years, as a PPP Transactions Advisor, and later also as a Special Policy Advisor to the Treasury Secretary. It was a teenage dream come true: I had wanted to be an economic advisor in Africa since I chose to study Economics for my Bachelor’s at UC Berkeley, but it wasn’t until I had my Master of International Business from Tufts University that it happened. Before my Master’s, I worked on John Kerry’s presidential campaign, a campaign to get women elected in Pakistan, and as a journalist. At the tender stage, I set the financial modelling assumptions and narrowly defined the bidding parameters, and allocated risk in the water purchase agreement for the delivery of a water treatment plant on a design, build, operate and transfer basis. There were minimal negotiations on risk allocation, which was particularly satisfying. When the water utility wanted to rescope the project, I was able to bridge an agreement between the utility and winning bidder because I was able to audit their financial model and understood both parties’ expectations. To get the final sign-offs, I co-ordinated various stakeholders in government: the utilities regulator, the treasury and the central bank. The project is due to complete in 2020. What will the impact be on the communities of Kigali? Just to set the scene – in Rwanda, less than 10% of households have piped drinking water. Academics have estimated up to three quarters of Rwandan citizens drink contaminated water. As a consequence, a fifth of infants suffer from diarrhoea and almost half are malnourished. Clean drinking water is so important in their early developmental stages so that they can achieve their life potential. I’ve heard this is the first PPP (Public-private partnership) for water treatment plants in Sub Saharan Africa. Time will tell whether we negotiated well. It’s been given the awards that it has on the basis that it looks good on paper, and we did anticipate numerous scenarios that could occur, but it will be interesting to see how it is performing in ten years, and how it is meeting the needs of Rwandans. What were the highlights of working on this project? I enjoyed this project because it is going to help avoid preventable diseases. The process was also clean and transparent. Everything was done by the book and I commend Metito Utilities, the developer, for not taking short-cuts and undermining due process and subverting the transactions team by going over our heads to members of Cabinet. It meant things went a bit more slowly for them. They were thoroughly professional. The project provides an excellent template for Rwanda’s PPP tenders. What motivates you to work in the field of infrastructure? Each of my career changes has been motivated by the thought that I can have a greater impact in a different domain. I think I’ve found my metier in infrastructure because its spill-over effects on society seem to be substantial. Understanding those spill-over effects better is what motivated my PhD at UCL. I want to stay in the infrastructure space, both as an infrastructure investment professional and as a project evaluator and academic. It’s such a socially valuable yet underappreciated field, and I enjoy working in it. Would you recommend doing a PhD? I would highly recommend a UK PhD to people considering a mid-career sabbatical. My supervisor Professor D’Maris Coffman has helped me develop a political economy and historical institutional perspective on the development finance behind infrastructure. If you couple your intellectual pursuits with a good residential college experience, you can rediscover your extra-curricular passions. I am now playing violin again after a 15-year hiatus alongside musicians at London’s big three music schools in the Good Ensemble and captaining the Goodenough College Cricket Club. Imad Ahmed is a PhD student with the School of Construction and Project Management. He is an infrastructure investment professional with research interests in the development impact of infrastructure. Imad is currently a Research Project Manager for International Growth Centre funded research assessing the welfare effects of undersupply of power on Zambia’s manufacturing firms. He is also a teaching fellow for the MSc Infrastructure Investment and Finance and MSc Construction Economics and Management programmes. Imad Ahmed is a PhD student with the School of Construction and Project Management. He is an infrastructure investment professional with research interests in the development impact of infrastructure. With a highly multidisciplinary approach, our PhD programmes study the nature of activities such as innovation, learning, risk management, leadership, marketing and financing in projects and project-based enterprises. Our research into the economics and finance of the built environment covers macro-economics and micro-economics from institutional to firm and project levels.